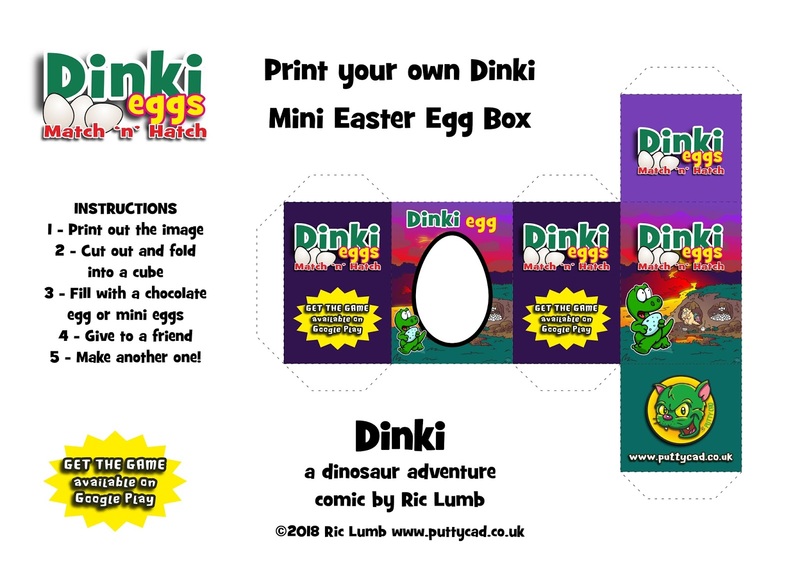 Here's a cute little printable mini Easter egg box you can make with your kids! 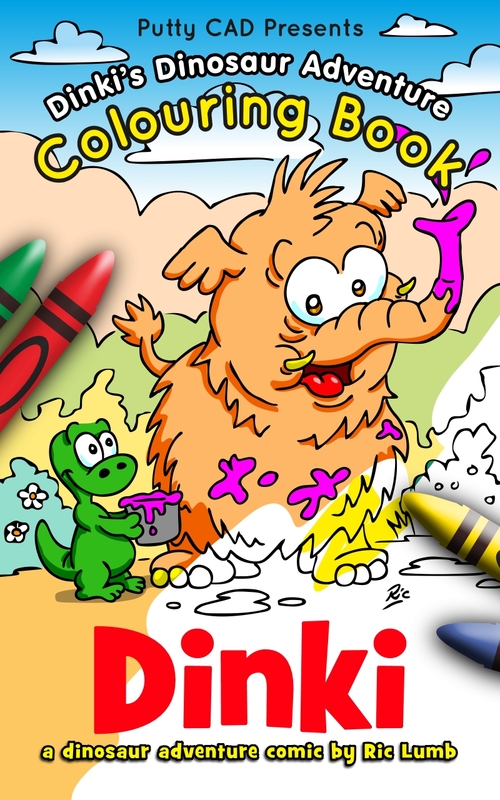 Based on the Dinki Eggs game which is available in the Google Play store. 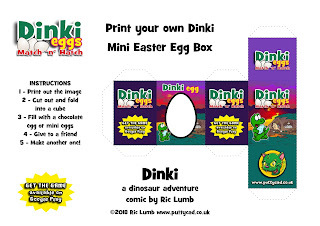 Print out the box at 100% and it will be big enough for a standard Crème Egg or some mini eggs. Have a fantastic Easter and try not to eat all the chocolate in the world! 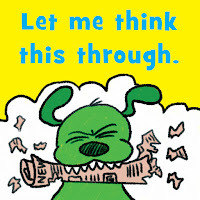 Save some for me! 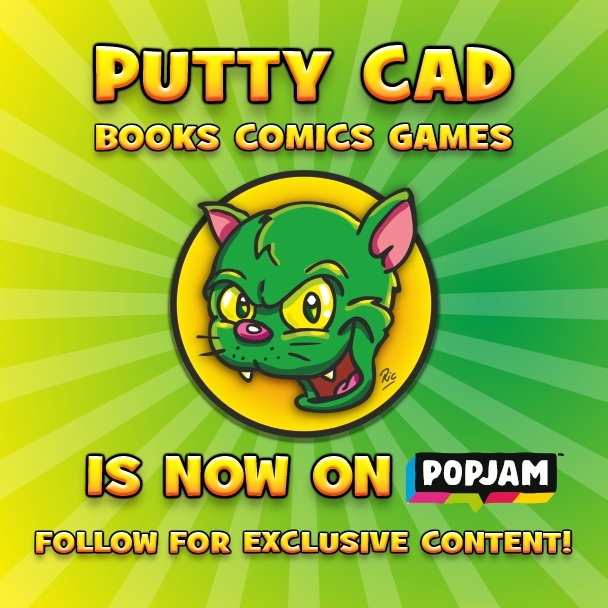 Today at 4pm the PuttyCAD channel officially launches on PopJam. 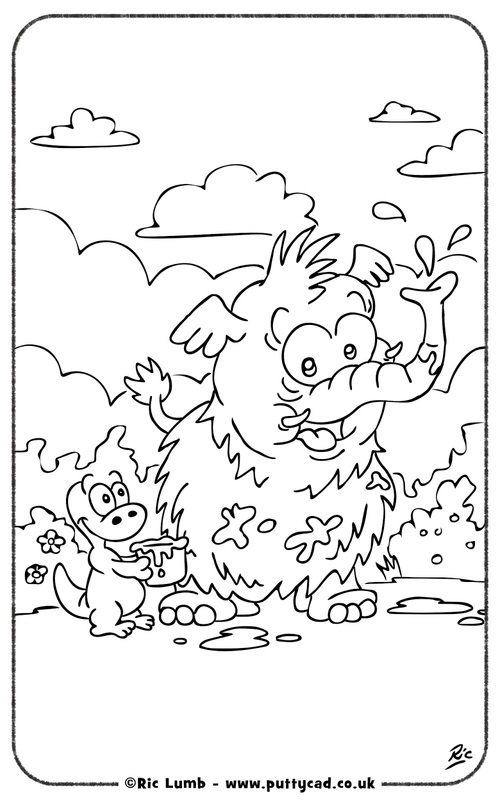 We'll be posting exclusive content for kids featuring fun drawing activities and puzzles. 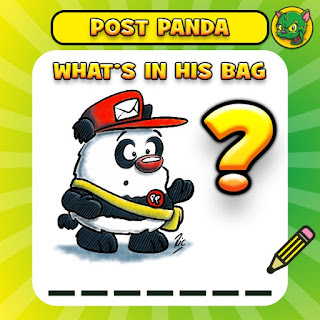 The Popjam app is a social network for kids with no hidden/private chats and safety approved ads. 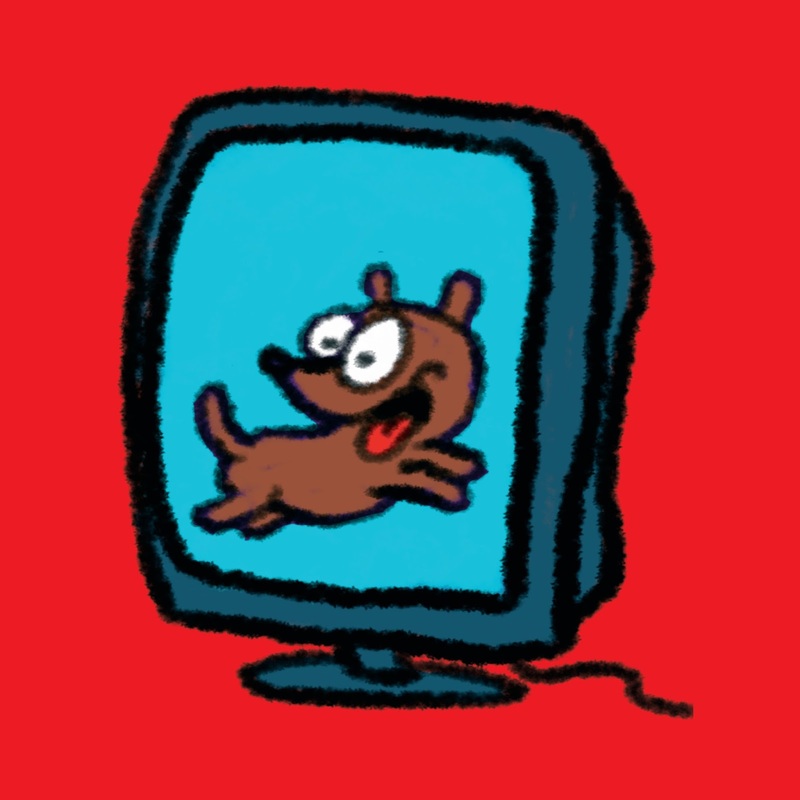 All content is monitored. check it out on ios and android networks. It's been a busy couple of weeks. First up we took Zombie Piranha to the Retro Events Games Expo at Leeds United, Elland Road. We were positioned next to the VR competition area and the queue was right behind our stall. This gave us a great opportunity to let everyone play our games on our tablets while they were waiting. 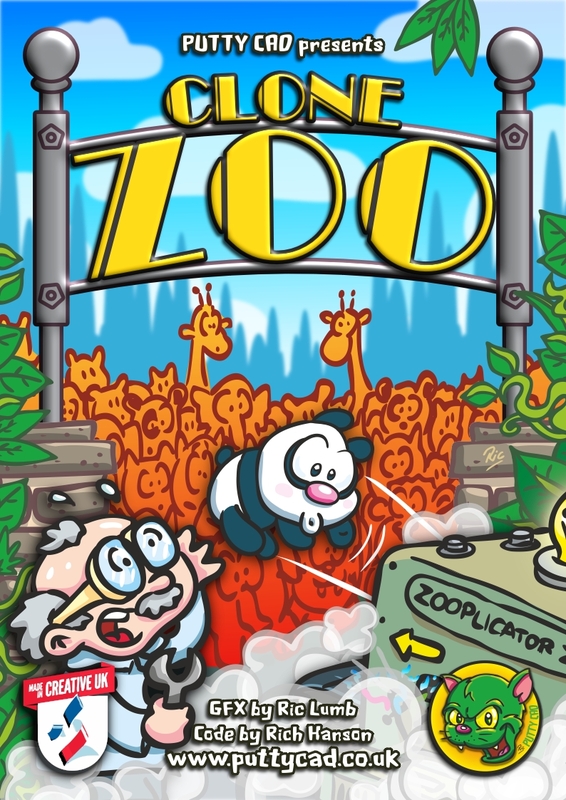 Zombie Piranha went down really well as usual and a few people played Clone Zoo too and took details so they could download it from Google Play. Last night it was the GaMaYo party. (Games Makers Yorkshire) a chance to catch up with fellow game makers for a drink and networking. I showed off the games to the people from Amazon who were sponsoring the event. They really seemed to like Zombie Piranha and Clone Zoo. We didn't win the competition they were running but it's nice to meet people behind the App stores to get a little feedback. 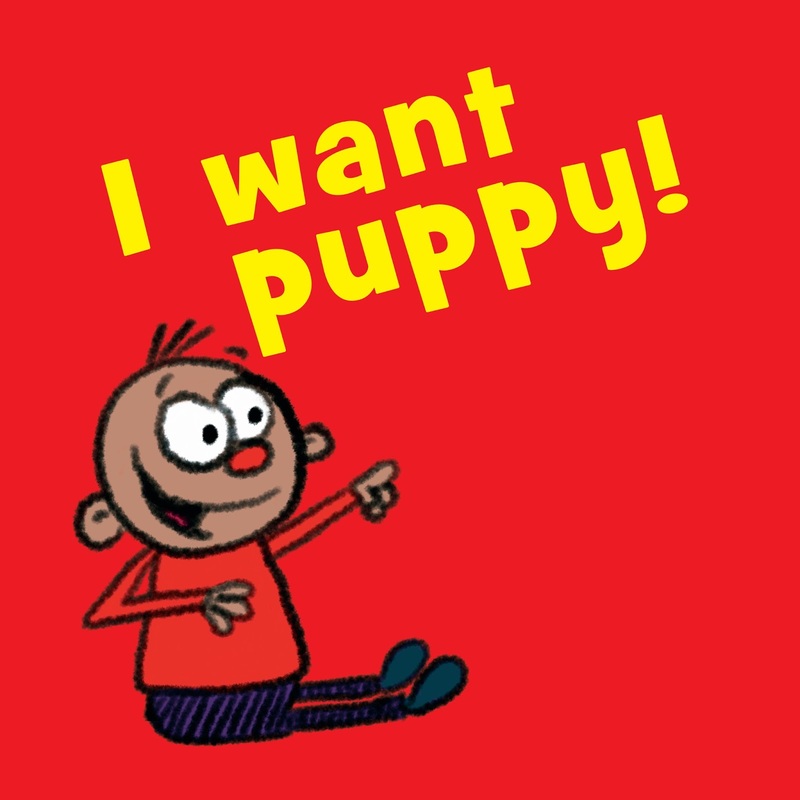 I was invited along to sign my new book "I Want Puppy" and it was a brilliant success. Everybody seemed to enjoy the festival and hopefully it will be the first of many. I sold several copies of my books including A Knight Before Christmas and the Dinki colouring book. One little boy spent ages scrutinising the Dinki Comic Collection and his mam ended up buying it for him, He was still reading it quite a while later as they were going. The other authors and illustrators were really great to meet and the kids loved them. 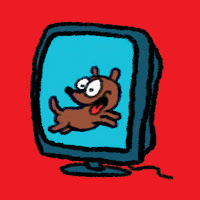 My boy Tommy particularly liked Blue Peter award winning Andy Seed and his new favourite superhero Rappaman (a.k.a. Donavan Christopher) who was really entertaining. 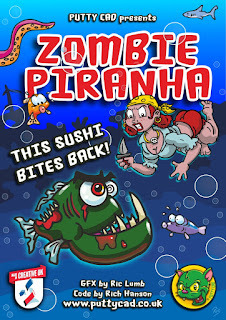 We're excited to announce we will officially be exhibiting Zombie Piranha at the PLAY Expo Leeds! Please come along to show us your support and try out the game! 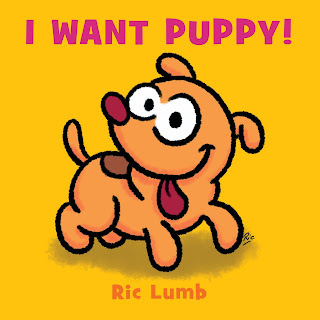 Things are moving forward with more book and illustration projects coming together for 2017. 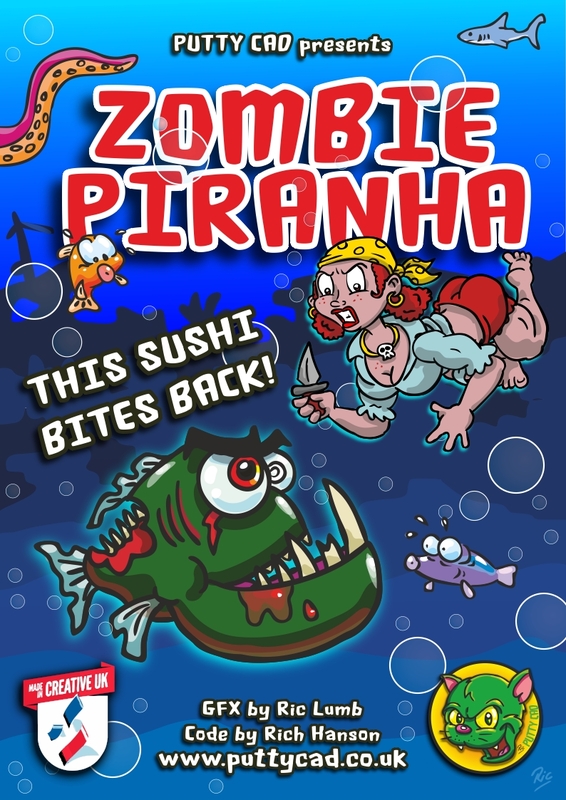 I've also been working with Rich who has made great progress with bringing together a new more arcadey version of Zombie Piranha. 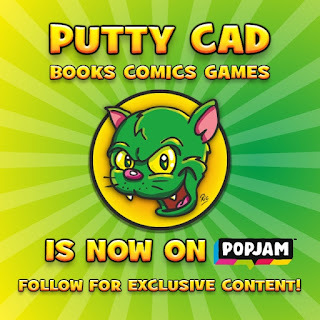 I will post more updates and progress pics on the Putty CAD Games page here. 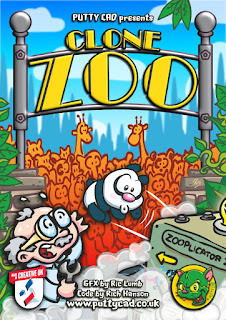 We're aiming to have a fully playable version for the Leeds Games Expo in April. 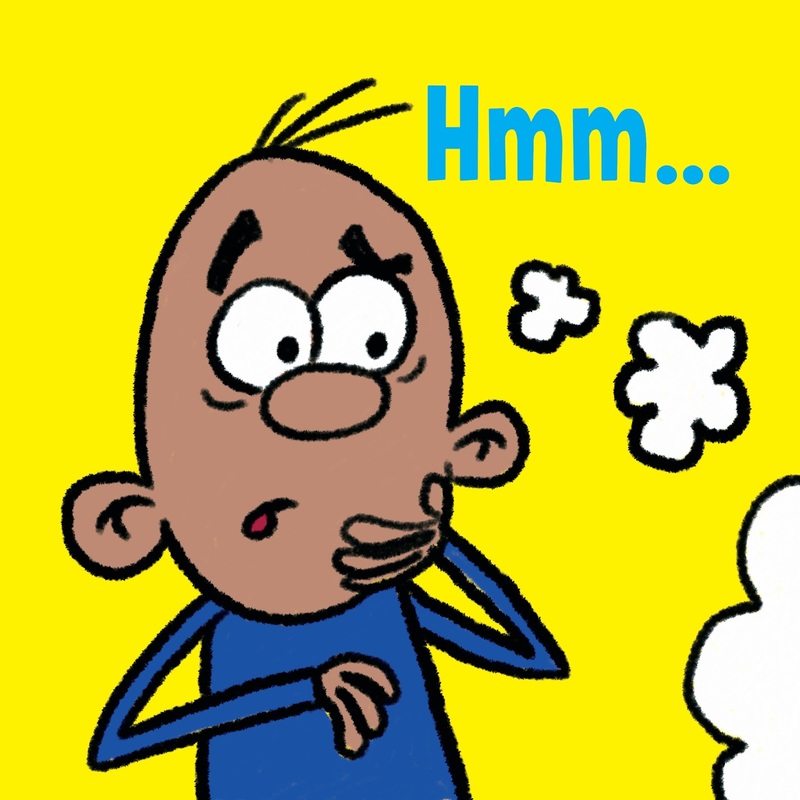 I'm proud to once again be a judge and ambassador for Children's Reading Festivals UK. http://www.childrensreadingfestivals.com/ please check out the website for more details and if you have children make sure they check out the Poems and Pictures Poetry initiative created by Christina Gabbitas which is now in it's fifth year! 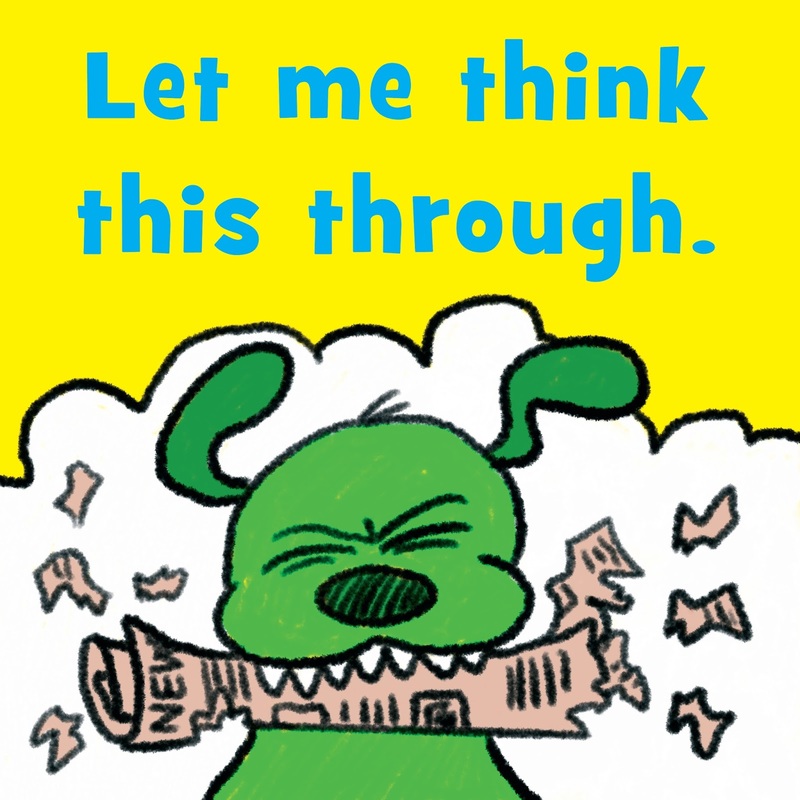 Make sure you tell their teachers too, as the best poems will appear in the next volume of Children's Poems. The topics this year are Seasons and Climate Change. 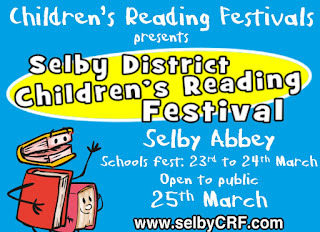 I will also be attending the Selby children's Reading festival on Saturday 25th March. Please come along if you want a signed copy of my children's book A Knight Before Christmas. Click on the image below to visit the website. The North Pole has been invaded by a fire breathing dragon. 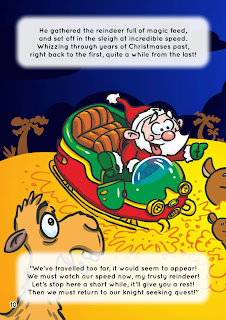 Santa must travel back in time in search of a brave knight, to deal with the menace, or Christmas will be ruined forever! 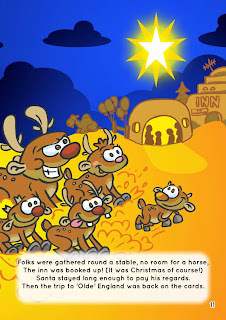 My new rhyming picture Christmas storybook A KNIGHT BEFORE CHRISTMAS is out now on Amazon. 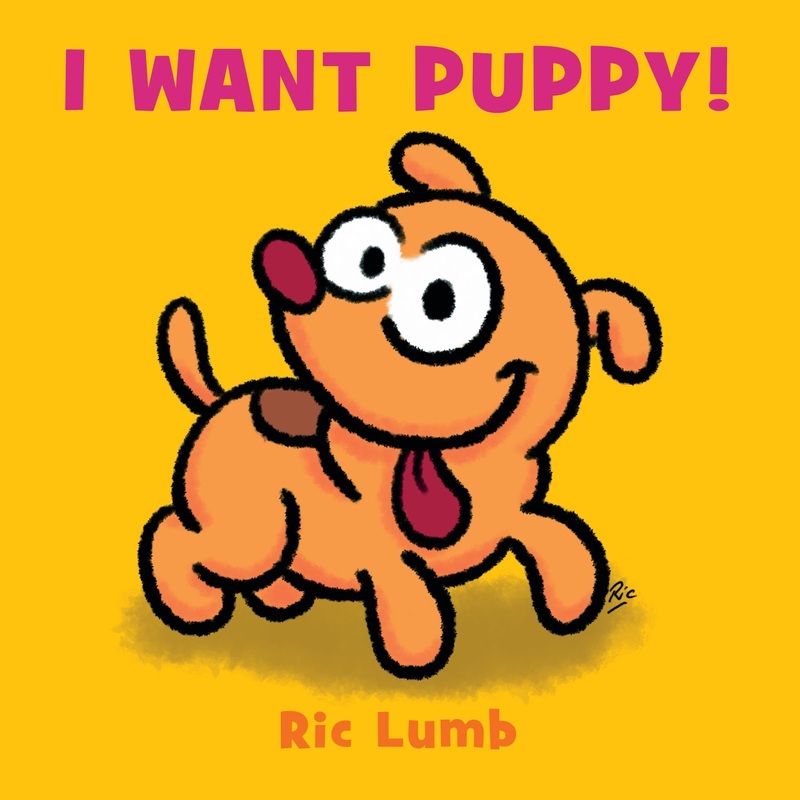 Available as PAPERBACK, KINDLE and AUDIO it's an essential stocking stuff for the little ones! If you buy it please rate and review to make sure as many people as possible can get to read it in time for the festive season! Ho Ho Ho! 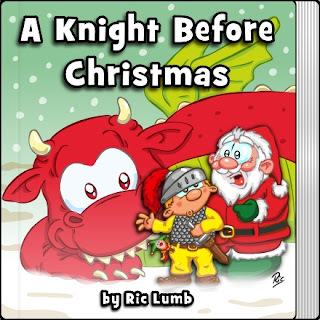 A new paperback version of "A Knight Before Christmas" has been released on Amazon! The North Pole has been invaded by a fire breathing dragon. Santa must travel back in time in search of a brave knight, to deal with the menace, or Christmas will be ruined forever! 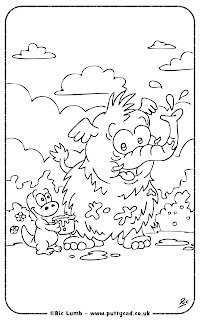 A Rhyming picture storybook for all ages! 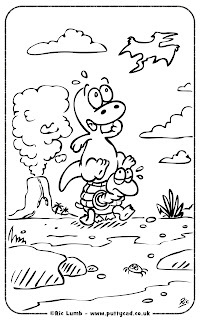 At 8.5" x 8.5" square with 24 full colour pages would make an ideal stocking filler for the little ones this festive season! 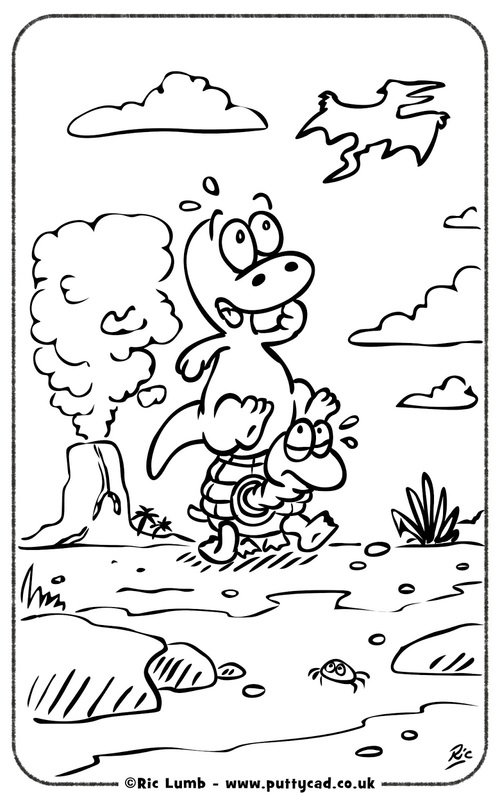 Dinki's Dinosaur Adventure Colouring Book OUT NOW!